Dark Bi colored catering menu board with textured bordered just gives the smart look to this catering menu board. Food images are used in between to make the digital menuboard look more attractive. 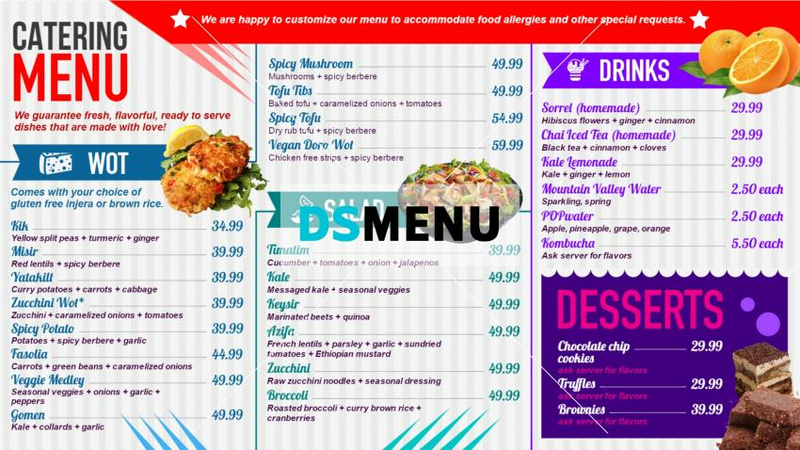 A separate area is allocated for menu promotion. The menu board is ready for edit and download.